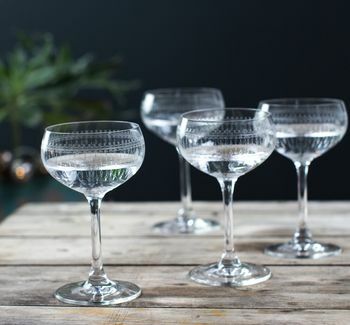 Stunning retro chamagne glasses with beautiful etched detailing. 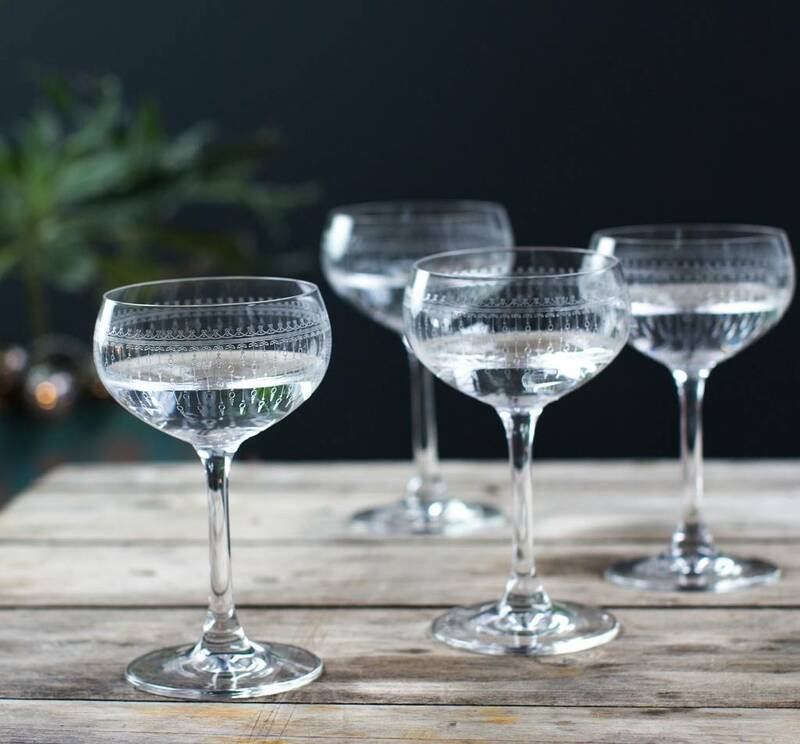 These glasses are perfect for any dinner or garden party. The beautifully delicate design and art deco style will wow your guests and add luxary to any occasion. They look fabulous alone or as a set and are perfect for a wedding to add a special touch. Treat yourself or gift them as a special birthday, anniversay or wedding present.